The FinTech world changes at light speed, and it’s hard to keep up with the unbelievable pace. It seems that when people start getting used to one innovation, a newer and better one is announced. If you’re wondering what the state of FinTech will be by the end of the year, here are the predictions of the biggest trends for 2019. Companies are always trying to improve the speed and the efficiency of their services, even if it means shaving off 30 seconds from the experience. In this case, banks are handling their customers contactless cards to make payment options faster — a simple tap on the payment terminal or square reader, and the purchase is done. JP Morgan Chase is releasing these versions of Visa debit and credit cards to millions across the country. The contactless card trend has already grown across the world in recent years and now financial experts are expecting the same positive results with the market in the United States. One of the FinTech trends to watch for this year is the growth of mobile banking in comparison to traditional banking — people are far more likely to manage their finances on their phone than talking to tellers at their local branch. Mobile transactions are predicted to grow by 121% by 2022, making them almost 90% of all banking transactions completed by customers. 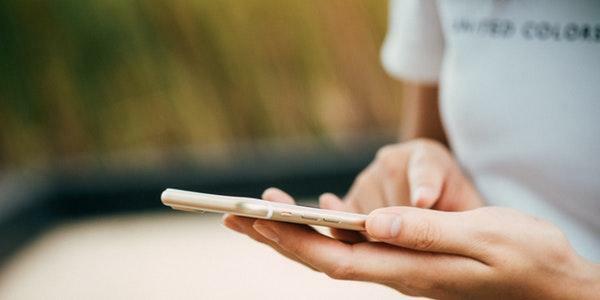 A recent survey from Bankrate showed that 63% of smartphone users have at least one financial app downloaded onto their phone to help them manage their money. Over half of the users have a full-service banking app, 17% have an app to help with budgeting and 17% have an app for investing. Mobile banking is appealing because it’s convenient. People carry their smartphones with them wherever they go, so they can pull them out of their pockets at any time to check their accounts or pay bills. Smartphones are useful for more than online banking and budgeting. They can also be used to pay for things at the till. Consumers can use mobile wallets to make day-to-day purchases so that they don’t have to carry their bank cards or wads of cash with them. Pulling out a phone will be much easier than fishing for exact change at the bottom of a purse. Considering how many shoppers will be on their phones while they’re waiting in line, they will be ready to use their mobile wallets in seconds. Just like contactless cards, this tool significantly shaves down time spent at the register. One of the trends that are expected to grow in 2019 is companies tapping into the consumer’s desire to save money. There are plenty of new apps that are automating user’s savings. The app ChangeED rounds up any change from transactions to help the user pay off their student loan debt by sending the accumulated amount to the student loan processor. Another one of the companies influencing consumers to save money on a regular basis is MoneyKey. The website is known for providing access to short-term loans and cash advances for people who need to make urgent payments, but don’t have the means at the time. The website provides visitors with practical advice for budgeting and saving, so they will reduce their chances of needing a loan altogether. The accessible tips for saving money include guidelines on how to shop for groceries and how to cut down unnecessary costs on a day-to-day basis. Experts agree that these three trends will make big impacts on the FinTech world this year. They reveal a pattern that companies are trying their best to prioritize consumer needs. These developments make the consumer experience as fast, as convenient and as beneficial as possible.